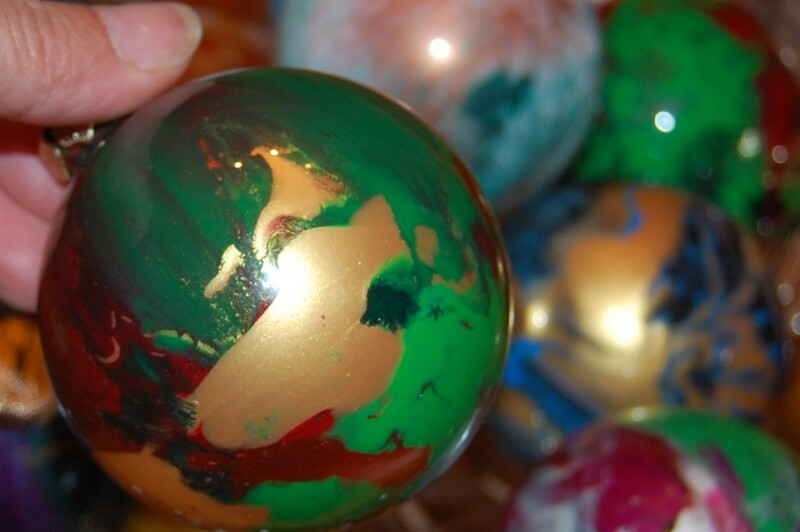 Fill them with paint or glitter-this is an easy and fun way to make unique ornaments! 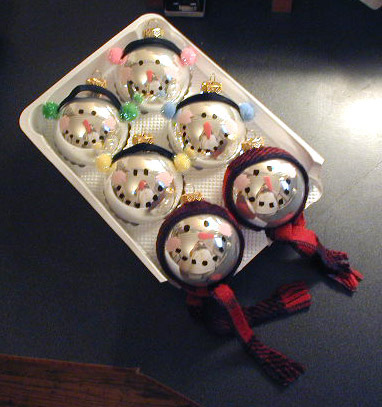 Or, like the snowmen above, mix it up! 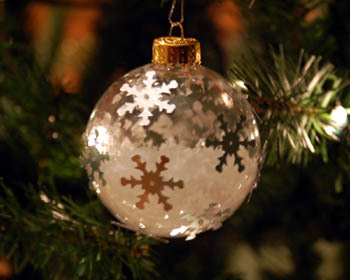 Glue things on and paint, or, like these snowflake ornaments from Crafts for All Seasons, glue on some confetti and fill with fake snow! 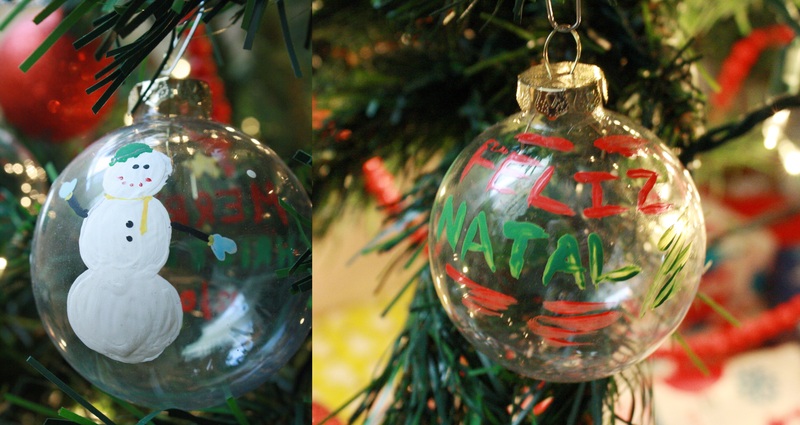 What will you do with your glass ornaments? 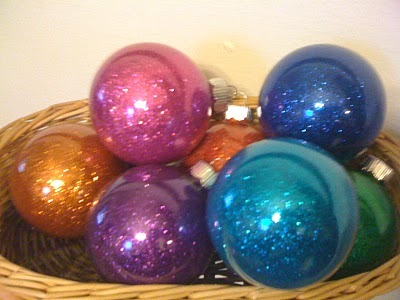 These all look gorgeous! I can’t wait to try some of them!